Autumn Walter|CIGAR| The URI baseball team is looking forward to a successful spring season. The weather might tell you otherwise but college baseball season is upon us. 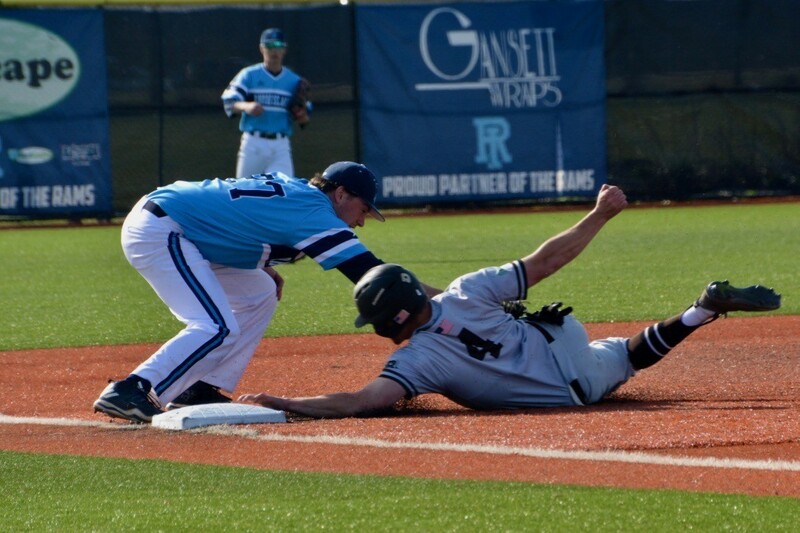 The 2018 University of Rhode Island Rams head to College Station, Texas this weekend to battle Texas A&M in a three game series to start the year. Rhode Island has assembled an impressive non-conference schedule for this season along with high self expectations. 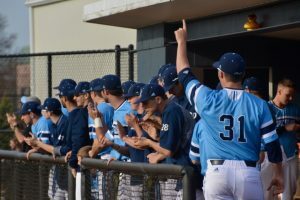 Rhode Island will open the season with 18 road games scattered across the country before their home opener on March 23 against Sacred Heart University at Bill Beck Field. Under head coach Raphael Cerrato, Rhode Island has become synonymous with playing tough non-conference schedules. Between the 2012 schedule and expected schedules through 2020, the Rams will play a total of 26 games versus SEC opponents, 17 games against ACC opponents and 15 matchups with opponents out of the Big South. This year is no different for URI. Some highlights to this year’s schedule include a three-game weekend series against the defending National Champion Florida Gators in Gainesville, Florida, a four game set against the Stetson University Hatters and a four-game weekend trip across the country to battle Seattle University in Washington state. The Rams were picked to finish third in the Atlantic 10 Conference this season behind St. Louis and VCU. For Cerrato, third is below his expectations. The Rams will have a strong pitching staff and a veteran heavy roster that should help compete for the A-10 title. URI returns ace Tyler Wilson who made just four starts all of last season before going down with a labrum injury. Wilson was the reigning A-10 Pitcher of the Year. With Wilson at full health to start the season Cerrato said it feels to good to be back at full strength. Last season, the Rams battled through injuries to finish the year as the No. 2 overall seed in the A-10 and lost in the loser’s bracket final to St. Louis. With healthy arms the Rams could bring home their second A-10 Championship in three season. The weekend rotation will be Wilson followed by Matt Murphy, who was awarded A-10 Pitcher of the Week three times last season, and sophomore Vitaly Jangois who made the A-10 All-Rookie team last spring. The weekend starters are just the beginning of a powerhouse pitching staff the Rams have assembled. The Rams lose some pop in the middle of the lineup this season. Rhode Island got plenty of offense from graduating seniors Mike Corin and Matt O’Neil who combined for 32 home runs. Cerrato mentioned Laurence Hill, Brett McManus, Mike Foley, Sonny Ulliana and Kevin Heiss are all players that are capable of taking another step in their plate production this season. The Rams roster features seven seniors and seven juniors this season. With the experience comes leadership. Cerrato fully expects his upperclassmen to lead the team. nd’s journey begins Friday night in College Station. Autumn Walter|CIGAR | The Rams are currently practicing to have a high performance season.